The deep East Oakland restaurant serves far more than pupusas — but you should also get the pupusas. 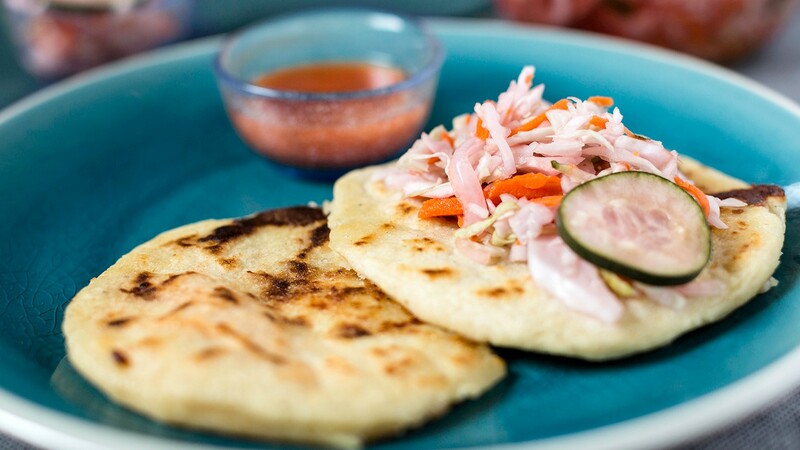 Photo by Constanza Hevia H.
Pupusas come with a big tub of curtido, the vibrant and tangy cabbage slaw. Few kitchen noises sound as reassuring as the patting of a pupusa. At El Salvador Taqueria y Pupuseria, the lone woman in the hot kitchen sculpts each pupusa by hand to order, gently but firmly patting each disk into submission. She fans a few onto a plate, their edges browned with pockets of crispy cheese that oozed out onto the griddle. That's the good stuff. Few stalwart Salvadoran restaurants have survived Oakland's changes over the years. There's Los Cocos in the Fruitvale, Comalapa in West Oakland, and a handful of stands and trucks like the revered Tamales Mi Lupita. But we've lost several others, and only a couple of new brick-and-mortars have arrived in the meantime. It's a shame given the 91,000-or-so Salvadorans living in the Bay Area — the second highest Hispanic population behind Mexicans, according to a 2014 report by the Pew Research Center. And, of course, it's a shame because pupusas are so delicious. At two years old, El Salvador Taqueria y Pupuseria is a relative newcomer among Oakland's Salvadoran eateries. It's a bright-blue, brick building with barred windows in deep East Oakland, located on Foothill Boulevard just past Lena's Soul Food. A colorful map of El Salvador proudly hangs on the back wall, right above a stretch of mirrored tiles and vinyl booths that give off the vibe of a dive bar trapped in a time warp. With few windows, it's dark and a bit stuffy inside. But those pupusas. They're traditional in size — a bit smaller, thinner, and more delicate than those you'll find at some other Bay Area eateries, which often serve thick, heavy pucks with too much masa and not enough filling. These are pupusas sized for picking up with your hands, as you should. You'll find the staple fillings of cheese, zucchini, refried beans, and pork, as well as combinations of them. If you order one with cheese, you will get those satisfying cheese pulls — add loroco, small, green unopened flower buds, for a bit of lightness and freshness, or pork for double the unctuousness. Fish and shrimp are other, more unusual options. The itty-bitty flecks of fish melt into the cheese so the flavor is imperceptible, but the juicy hunks of shrimp work well. There's also a rice flour variation, which arrives a bit paler, firmer, and less sweet than the usual corn. What most impressed me, though, was the curtido, the lightly fermented cabbage, carrot, onion, and oregano slaw that's absolutely required for pupusa enjoyment. It delivered beautiful crunch and sharp tang, heightened by the red, tomato-based, and vinegar-forward salsa. The flavor combination is traditional as well. While some Salvadoran eateries make their slaw and salsa fiery to please Mexican and American palates, the cuisine is actually rooted in mild spice levels. I also appreciated how the restaurant drops off a giant plastic tub of the curtido and also stuffs plastic ziplock bags full of curtido for to-go orders. You'll never need to ask for more. Of course, a Salvadoran restaurant is much more than pupusas. And as with most other Oakland Salvadoran restaurants, the menu is cluttered with Mexican dishes as well. Sift through them for the Salvadoran chicken tamales. 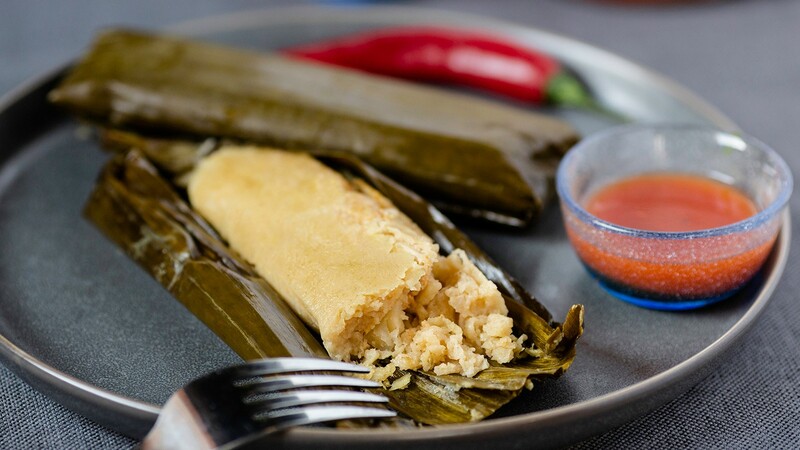 Unlike the Mexican version, Salvadoran tamales are steamed in banana leaves instead of corn husks, which impart their own subtle fragrance and seem to keep them extra moist. At El Salvador Taqueria y Pupuseria, the masa bundles arrived slick and delicate, hugging shreds of chicken, green beans, and potatoes. The fried yucca, otherwise known as the starchy cassava root, with deep-fried bits of pork belly was also a treat. The tubes of yucca were golden brown, and the thin crusts shattered upon impact to reveal a light, fluffy interior. The pork was slightly more uneven, with some chunks juicy and others dry, but all was enjoyable under a shower of curtido and salsa. Pastelitos, masa wrapped around chopped green beans, potatoes, and peppers and dropped into the fryer, offered a nice contrast between dark, crispy exterior and warm, soft center. Perhaps the single most satisfying order — and excellent bargain — is the pupusa plate, which gets you two pupusas of your choosing alongside a slab of grilled, tender, and peppery skirt steak that's loaded with jammy grilled onions and bell peppers. Bonus: sliced avocado on the side. For dessert, get a round — or two or three — of the empanadas, mashed plantains filled with crema and deep-fried. They achieve the same caramelized flavor you normally expect from sweet plantains, but they're crispier, sweeter, and bloom with cinnamon. Steamed in banana leaves, the tamales arrive slick and soft. Hours: Mon., Tue., Thu. 11 a.m.–7 p.m.; Fri. 11 a.m.-8 p.m.; Sat., Wed. 11 a.m.-6:30 p.m.